Welcome to Austinâ€™s social hub for hostelers! Drifter Jackâ€™s is run by experienced backpackers who know exactly what youâ€™re looking for in a hostel. We pride ourselves in having a creative atmosphere, upbeat and helpful staff, super clean facilities and bangin social events every week! Our entire hostel has been painted with murals from 16 local artists making every room incredibly unique! 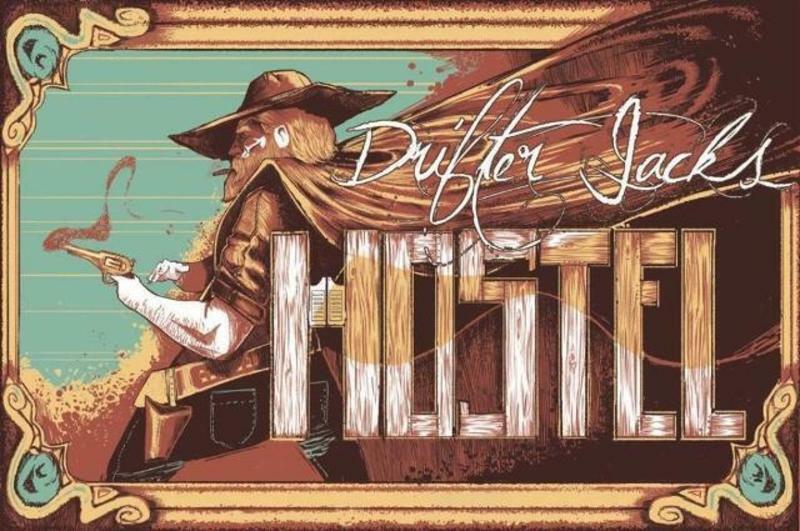 Drifter Jack's offers guests a movie/hangout room, laundry facilities and an outdoor patio. Currently available are 4-6 bed mixed dorms, female only dorms and one private, all with ensuite bathrooms. TAXES NOT INCLUDED IN PRICE- 15% tax to be added upon arrival. This is standard for every hostel in Texas. We are located at 2602 Guadalupe St. behind the 7-11. Go down the small street (Hume) on the side of the 7-11 until you see the Thai Noodle House. We are the second floor of the Thai Noodle House. Go around back and you will see a staircase that leads you up to the hostel. Parking is also on this backside of the building. Take a left onto TX-71 W for 5 miles. Exit onto I-35 N, 4.5 miles. Take exit 235A toward Martin Luther King BLVD (MLK). Left onto MLK, .8 miles. Right onto Guadalupe St, .6 miles. Take bus 100 inbound and get off at San Jacinto & 21st. From here you can take the FA Forty Acres bus to Dean Keeton & University Ave (FA runs M-F 7:20am-11pm, Sun 3pm-10pm, Sat closed). From here itâ€™s about a two minute walk. Backtrack up Dean Keeton until you reach Guadalupe St. Take a right and weâ€™re right behind the 7-11. For $17 the airport Super Shuttle will take you right to our door. Just look for them near the baggage claim. Take the #7 toward the University. Get off San Jacinto and Dean Keeton. Walk 5 minutes west on Dean Keeton until you reach Guadalupe St. Take a right and weâ€™re right behind the 7-11.